The projects shown here deal with the changing of the throttle valve seats on various Westinghouse steam turbines. 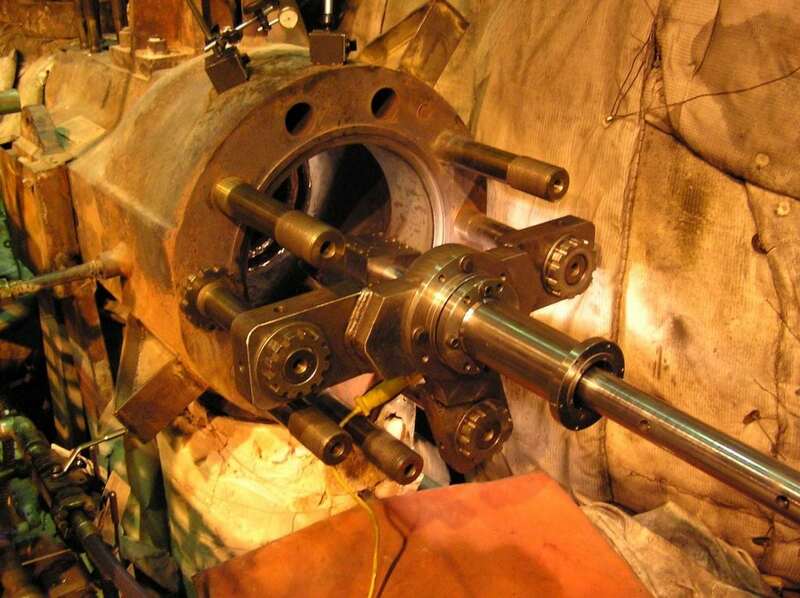 Similar operations are performed to change the main stop valve seats on many General Electric turbines, though some of them are bolted in, and some are welded. The work is similar but perhaps easier on a GE turbine because the valves are usually oriented vertically, and not horizontal as are these Westinghouse valves. Cut the seal weld from the old seat and pull it out. Machine the gasket face and spigot fit bore in alignment and perpendicularity with the axis of the seat bore. Skim cut the seat bore to establish size and roundness. Machine the new seat to proper sizes, shrink, and install. Complete the seal weld.